This easygoing city and temples tour begins at Vat Sisaket, one of the oldest temples in Vientaine, featuring over 6,840 remarkable Buddha images. Next up are the stunning Ho Phra Keo, the famous That Luang Stupa and Anousavari or the Victory Gate inspired by L’ Arc de Triomphe in France. Our last stop is at the Talaat Sao (Morning Market), where you can find hundreds of shops selling superior silk weaving, metalwork, and woodcarving pieces. After lunch, visit the surroundings of Vientiane including Buddha Park, Ban Nong Bouathong weaving village, and enjoy a stroll along the Mekong River at sunset. 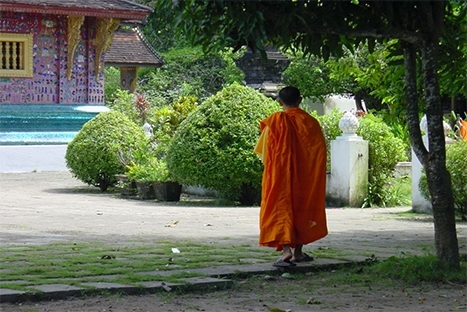 Visit Vat Sisaket, the oldest original temple in Vientiane. Built in 1818, Vat Sisaket is the sole survivor of an invasion in 1828. Vat Sisaket features remarkable frescoes and 6,840 Buddha images. Nearby is Ho Phra Keo, once the royal temple of Lao monarchy. Built in 1565, Ho Phra Keo has been used as a museum since 1970 and contains some of the finest Buddhist sculptures and artifacts in the country. The main structure originally housed the famous Emerald Buddha that now resides in Bangkok’s Wat Phra Keo. One of the most photographed images of Vientiane is Patousay, the victory gate also known as Anousavari. Constructed in 1958, its architecture is inspired by the Arc of Triumph in Paris. Another famous Vientiane landmark is the That Luang Stupa. King Setthathirath built this great sacred stupa in 1566. Its central structure is 45 meters tall and echoes the curving lines of an elongated lotus. The original stupa was said to contain relics of Lord Buddha. Continue to visit the Morning Market (Talaat Sao), known for its superior silk weaving, metal work, and woodcarving. After lunch at Kou Lao Restaurant, visit the surroundings of Vientiane including the Buddha Park, located 24 km south of Vientiane, and take a look at the impressive Friendship Bridge. 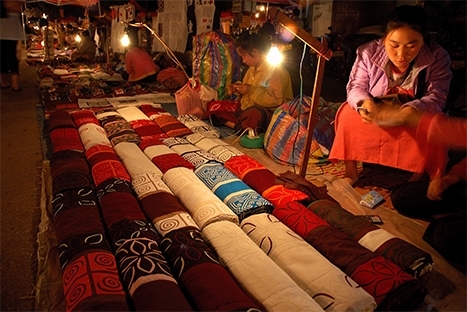 Return to Vientiane and visit the weaving village of Ban Nong Bouathong. Stroll along the banks of the Mekong River at sunset. After the war ended in 1975, the country is still littered with a significant amount of UXO's (unexploded ordnance) which. COPE stands for Cooperative Orthotic and Prosthetic Enterprise and provides prosthetics and mobility devices for those people who require them, free of charge if they cannot afford to pay for them. An interactive exhibit about the UXO problem tells how UXO affects communities, with stories of injured people and their experiences through their rehabilitation process. It also supplies Information to people about services available, training and support to local staff to provide a high quality service, and assistance in developing longer term strategies for sustainability so that the service will always be here! The visitor’s centre is a free museum/exhibition. Find out how you can support the rehabilitation project in many innovative ways! 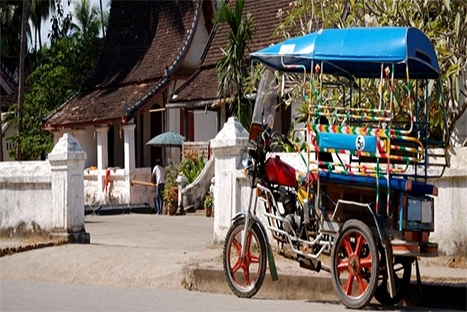 - Transportation from/to hotels in Vientiane.